Your disability should never stand in the way of finding a job you love. We believe everybody has a right to work, and we will do whatever it takes to help you achieve your employment goals. We support people who have a disability, injury, mental health condition or health condition to find and keep a job they love. We have put together the below guides of the main disability types to help you get a head-start on your search for employment. We provide mental health support services to help you with strategies which promote positive mental health and wellbeing. We provide you with on-the-job training and support once you are employed, working alongside you in your workplace for as long as you need us- that could be six months, a year or longer. That’s where EPIC is different to other providers – we’re here for the long run. We won’t just find you a job, we are committed to helping you keep your job. One in six EPIC employees has a disability, which gives us a valuable and different perspective. We draw upon the insights and life experiences of our staff with disability to greater understand and meet the needs of our job seekers. When you join EPIC you become a part of Club EPIC, our exclusive rewards and loyalty program. Through Club EPIC you will be able to save on essential items like groceries and petrol. what information is shared with potential employers. At EPIC we understand a ‘one size fits all’ approach doesn’t work. We take the time to get to know your individual talents, skills and personality. If you need some training to reach your goals, we’ll help organise it. And when you’re ready, we’ll help you find a job that you’re proud of. 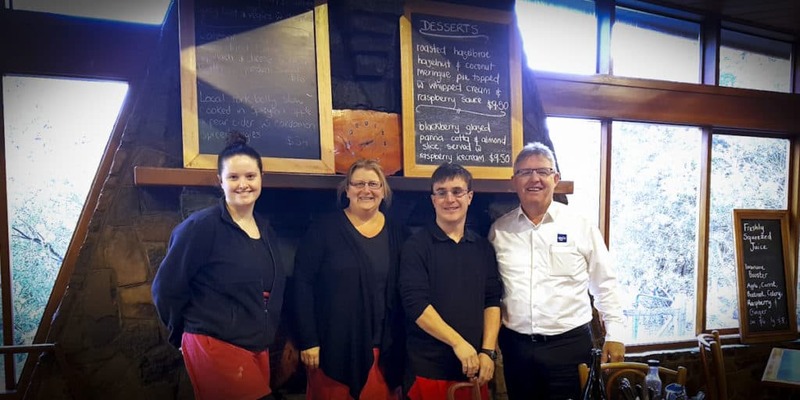 “My job makes me feel good about myself, as I am now part of a team and a community,” says Matt, employee at Christmas Hills Raspberry Farm Café near Devonport, Tasmania. Phil’s confidence was battered after years of unemployment, but it’s growing every day since he landed his role delivering flowers with iBlossom Florist in Maroochydore.